Pour 24 features a wide selection of domestic, imported, and quality craft beers that are traditionally brewed using only select ingredients to enhance body, aroma, and flavor. For parties of 20 or more, please email largeparties@nynyvegas.com. On the second floor Mezzanine Level across from New York Pizzeria. Take the parking garage hallway to the escalator towards the Casino. Head right towards the Front Desk and take a left. Take the carpeted walkway directly in front of the front desk and continue straight. Stay right at the pathway split and head towards Hershey’s. Once at Hershey’s on your right there is an escalator, take this upstairs to the Mezzanine level. Once upstairs it will be immediately on your right. Take the parking garage hallway towards the Big Apple Coaster and Arcade. Pass Nathans on your left and take the escalator on the right down to the Casino Level. Once in the Casino go left towards the carpeted pathway. 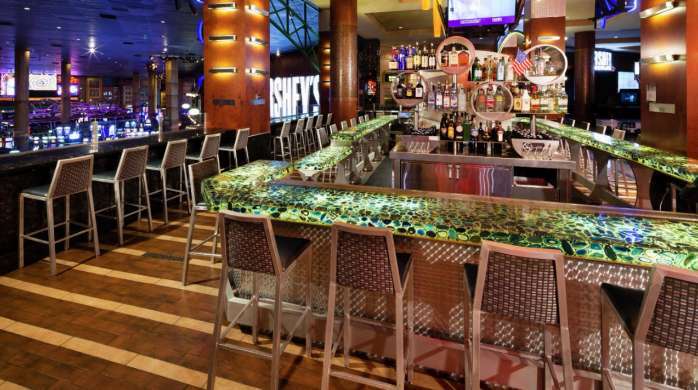 Head towards Center Bar, once at Center Bar go right and break off at the carpeted path heading towards Hershey’s. Next to Hershey’s there is an escalator, take the escalator upstairs to the Mezzanine level. Once at Hershey’s on your right there is an escalator, take this upstairs to the Mezzanine level. Once upstairs it will be immediately on your right. If you are facing the Front Desk, go right towards the Century Elevators. Continue towards the escalators. At the escalators go right towards the carpeted pathway. Head towards Center Bar, once at Center Bar go right and break off at the carpeted path heading towards Hershey’s. Next to Hershey’s there is an escalator, take the escalator upstairs to the Mezzanine level. Once at Hershey’s on your right there is an escalator, take this upstairs to the Mezzanine level. Once upstairs it will be immediately on your right. 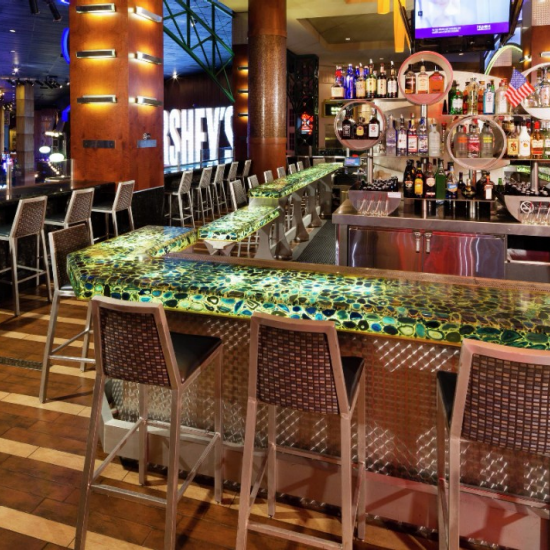 Handcrafted Cocktails and Remy XIII Perfect Pour among our High Limit gaming tables and slots. Gaming is 24 hours, Bar opens at 1:00 PM and closes at 3:00 AM.